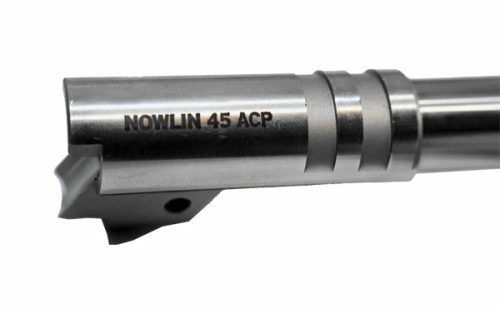 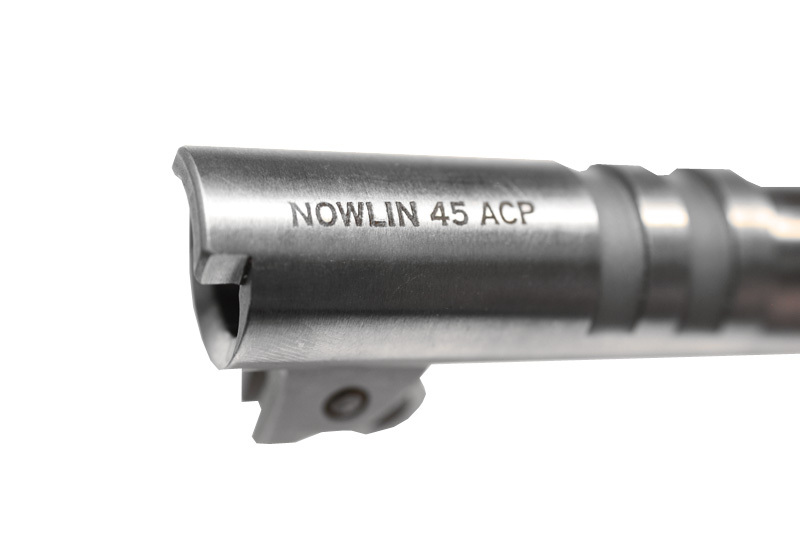 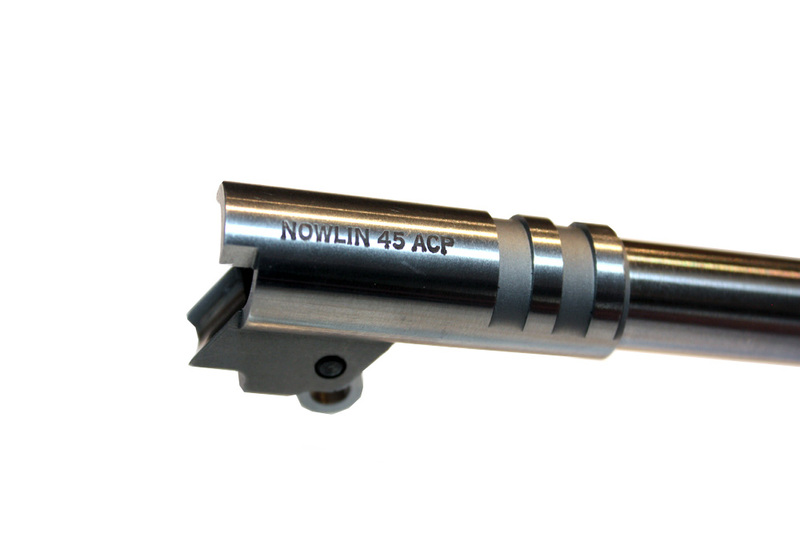 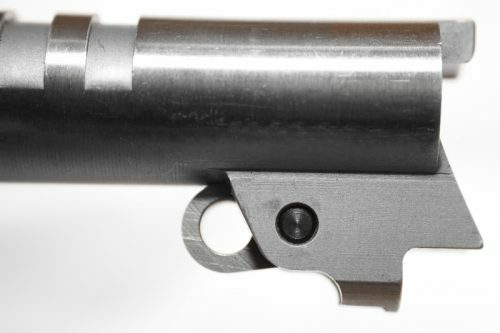 Extra-large diameter muzzle replaces the bushing for greater solid barrel/slide contact area and improved lockup. 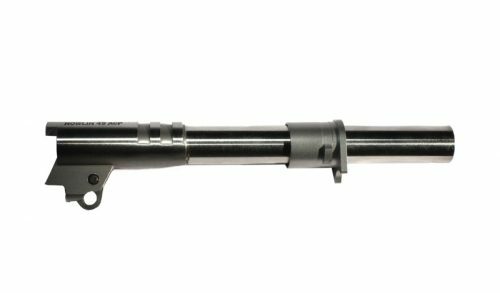 Ultra smooth rifling provides a precise bore that delivers exceptional accuracy and higher velocities. 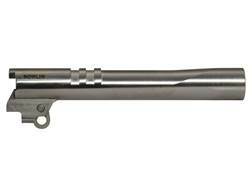 Bores are air gauged to ensure a maximum of .0005″ bore tolerance. 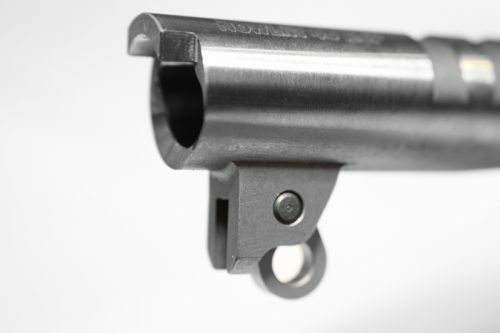 If converting from a conventional bushing-style barrel, a reverse plug must be fitted to your slide. 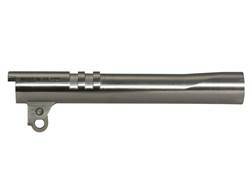 Available in non-ramped only. 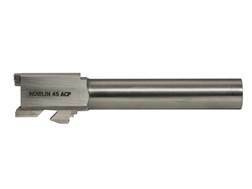 Also see our Ramped 9mm and 40S&W Bull Barrels. 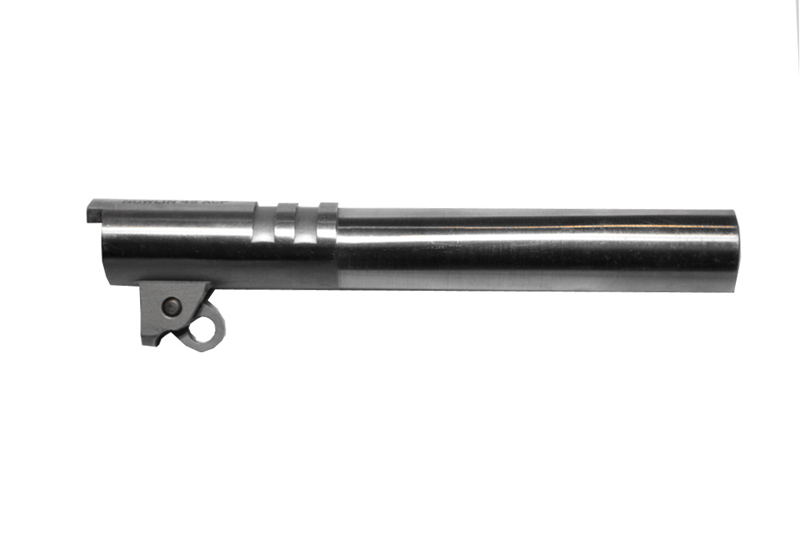 SPECS: 416 Stainless Steel, heat treated, Rc 40, 5″ long.